Raymond Gutierrez said he still pursued his passion for hosting despite the acting offers from his mom. In the October 23 episode of Magandang Buhay, Raymond Gutierrez shared why he chose a career in hosting despite his mom and manager Anabelle Rama’s plan of giving him acting jobs. He told the hosts that Anabelle used to push him to be an actor like his twin brother Richard Gutierrez. "Noong bago akong balik dito galing sa States, actually pinu-push ako ng mom ko to be an actor. 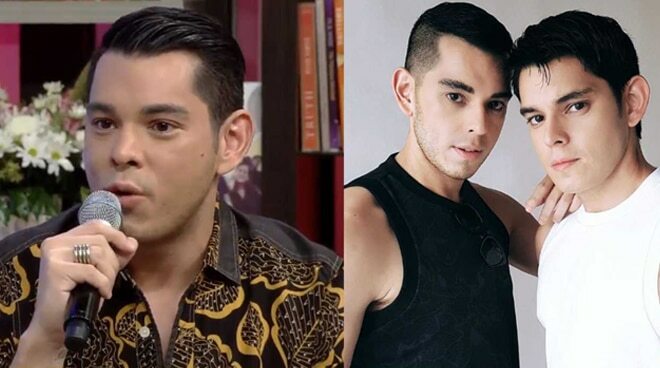 Kasi siyempre may mga offer, si Chard (Richard Gutierrez) was doing so well. Parang kung gusto ko raw ba maging artista?” he said. "Sabi ko I want to do hosting. Kasi that's more of where I see myself. So talagang nag-aaway kami ni mommy noon. Kasi gusto niya as my manager maging artista ako. Kasi siyempre kapag may soap, kapag may movie, eh tuloy-tuloy. Eh ang hosting once in a while lang if you could have a break," he explained. The 34-year-old endorser and host defended his passion to his mom saying, "Ako talaga I fought for what I wanted. Sabi ko, 'Mom, trust me, dapat iba kami ng lane ni Chard. Siya rito, ako rito.' At nung nag-trust siya sa akin, tingnan mo ang nangyari parang mas happy kaming lahat." In the same episode, Raymond, together with his sister Ruffa Gutierrez, also revealed that they are now planning to give their parents a wedding for their renewal of vows. According to the siblings, they decided to initiate a wedding plan after observing how their mom showed enthusiasm in birthdays and weddings. Ruffa said, "Si Mommy kasi kapag kunwari may kasal sa pamilya, may birthday sa pamilya, akala niya birthday niya at kasal niya. Siya talaga 'yung makikialam sa decor, sa guest list." It was in November 1980 when their parents Anabelle Rama and Eddie Gutierrez first tied the knot abroad.